How to change the tax rate or recovery rate on a paid invoice? 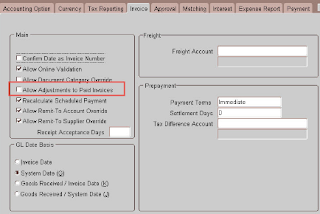 To make this change, go to the Payables Module that you have access to that has setup capabilities. Then open the ‘Payables Options’ form. 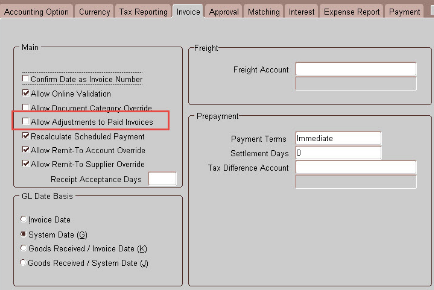 Navigate to the ‘Invoice’ Tab and find the ‘Allow Adjustments to Paid Invoices’ option and tick it. You can now make changes to your paid transactions. When you make the changes, you will need to reapply to create the accounting as often with a change to a tax rate.